I stayed for a week during my second visit to Cambodia. 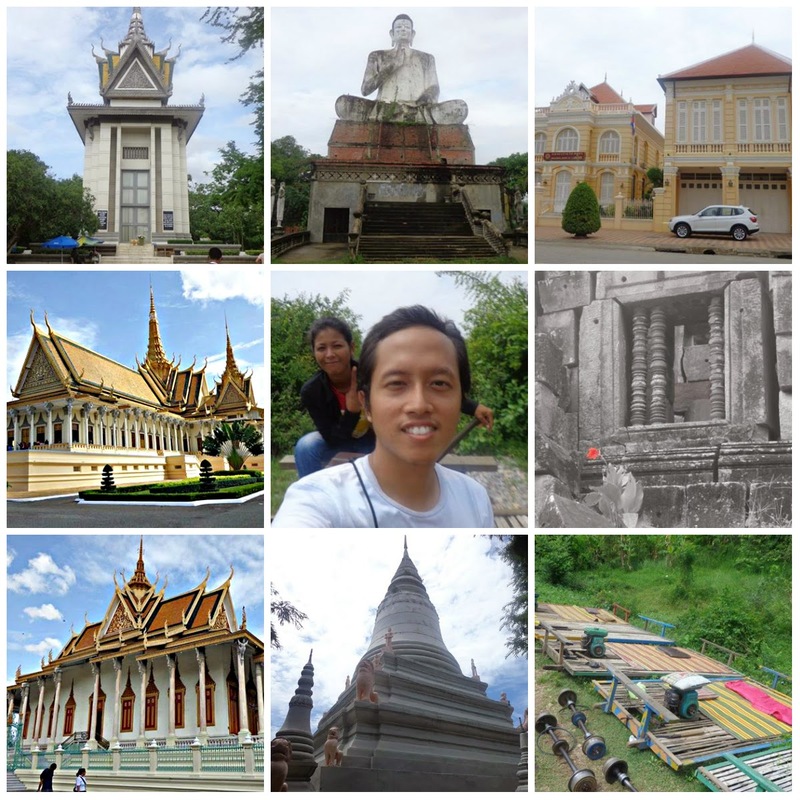 This time around I visited Battambang and Phnom Penh. 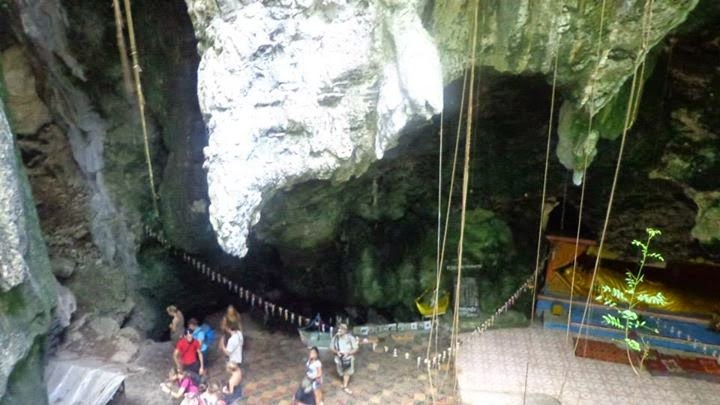 I was unable to visit these two places during my first trip to Cambodia. I wasn't planning on visiting Singapore when my trip started, but after traveling for long distances in India, I decided to take things slow once I returned to Malaysia but the opportunity to visit Singapore again was something I couldn't pass up. The last time I visited Singapore was more than a year ago (2013 to be exact). I spent the bulk of my time in Phnom Penh during my second trip to Cambodia. As I settled in the city, I didn't want to move around so much anymore, I wanted to stay in one place and just chill. I could've gone to Sihanoukville or Kampot or Kep, but decided not to as I planned on staying in Vietnam longer during my two months exploring Southeast Asia. I decided to take my sweet time exploring Phnom Penh finding cheap eats, visiting a few wats, and just slowly taking everything in. I had the chance to visit The Golden City of Jaisalmer during my more than a week trip around Rajasthan in India. I had the privilege of staying in Lalgarh Hotel Fort & Palace for two nights. After visiting the somber Killing Fields and Tuol Sleng Museum, I looked for more relaxing things to do. I ended up visiting the Royal Palace and Silver Pagoda. 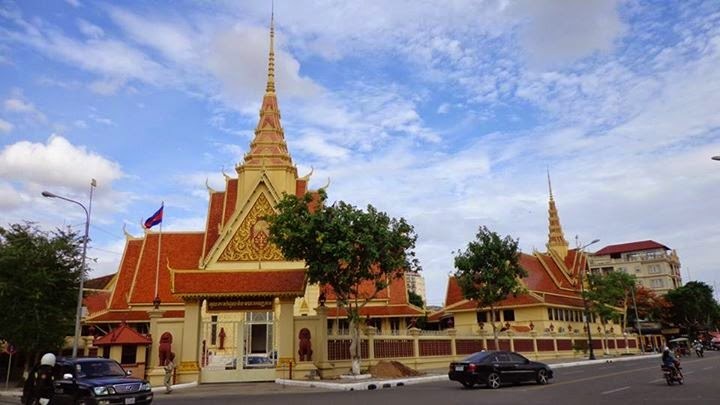 Phnom Penh was a bustling city albeit smaller in size compared to Metro Manila, but because of its smaller size visiting the well-known areas and tourist attractions were easier. Thankfully, the Royal Palace and the Silver Pagoda were just around 10-15 minutes walk from the hostel I was staying in. After a few days of taking it slow in Battambang, I planned my next destination in Cambodia. Since I've been to Siem Reap before and didn't have much time left in Cambodia, I decided to head to Phnom Penh. Phnom Penh was around 7 hours from Battambang. The journey was long and was made worse because of the common scams that took place when tourists book bus tickets. I was told I would be given tickets to Phnom Penh from a 'better' bus company (I use the term better loosely here, since I've read about the numerous poor condition buses in Cambodia), I gladly said yes and paid for the tickets. The day of the trip arrived and lo and behold my bus ticket were switched and I had no choice but to take it because the bus was about to leave already, tough luck, so much for researching before a trip. The bus was really old and looked shabby. Once I got in and took a seat, the air conditioning was barely working. This is going to be a LONG ride, I thought to myself. Hours went by and I ended up chatting with a Cambodian with exceptional English. I soon found out that he was an English teach heading to Phnom Penh as well. He helped me find which stop to alight in and how to get to my hostel, there's some good in a bad situation after all. It took a while to finally find Lovely Jubbly (the hostel I was staying in) only to find out that the place was overbooked. The receptionist promptly sent me to Me Mates, the hostel's sister accommodation. It was a long day. After more than 7 hours in transit, I finally got some much needed rest. Battambang was not spared from the onslaught of the Khmer Rouge during Polpot's reign. There are pockets of execution grounds located in the outskirts of the town. 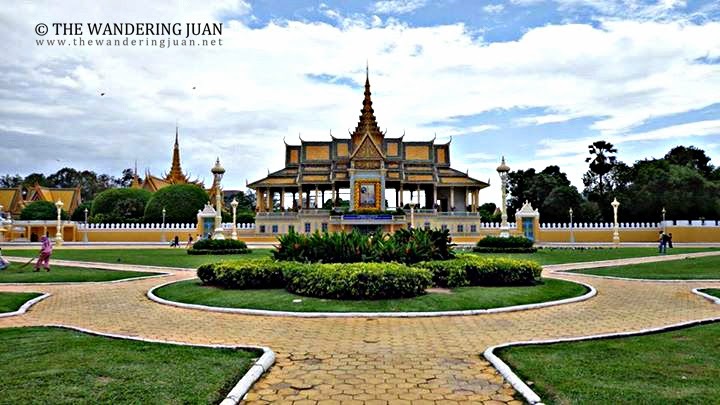 Our driver suggested we visit the sites during our stay in Battambang. 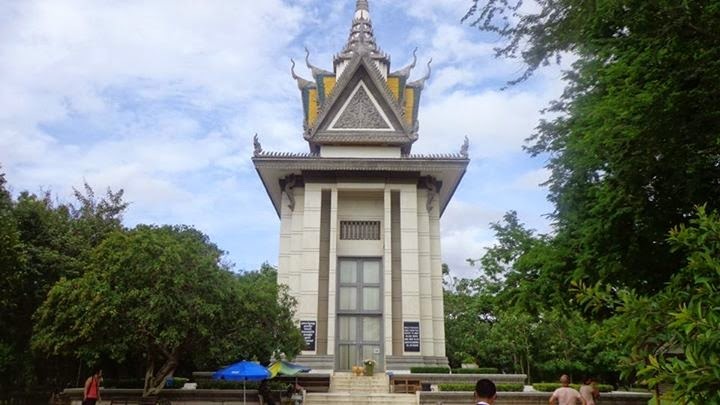 Just hearing about the sites was a sobering experience, which prepared me for the Killing Fields and S21 in Phnom Penh. 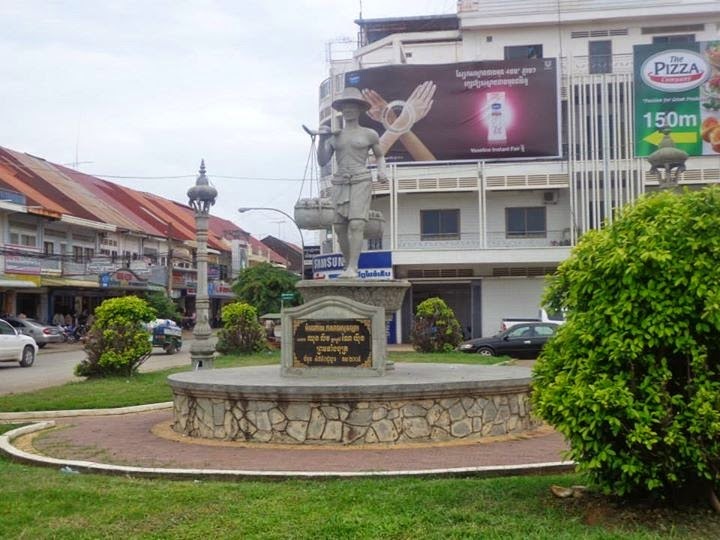 I knew little of Battambang when I rode the bus from Poipet to this unassuming town. When I first arrived at the town center, I knew that it was a laid back town that I would love to stay in.